For the production of small and medium size stirrups. The bi-directional P series benders are capable of satisfying a wide range of production requirements. 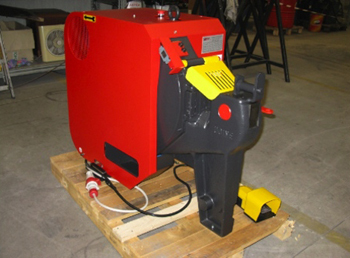 P series benders can be programmed to carry out a production cycles containing up to 20 different bending angles (P40 ECS can save up to 74 shapes). To produce small and medium size stirrups and shapes. P140 E - To produce small and medium size stirrups and shapes and optionally equipped for large radius shaping. P140 SE - Designed to produce medium and large size stirrups and shapes, the SE Series is equipped with 4 adjustable brackets where 2 contrast pins can be positioned. Equipped with a rotating contrast arm, it is designed to produce stirrups and large shapes with bends on both sides. 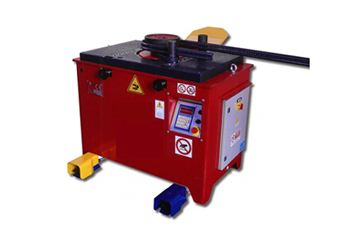 The electronic control allows to automatic positioning based on the bending cycle. 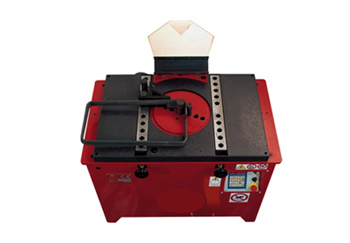 Manual shear to cut one or more stock rebars simultaneously. 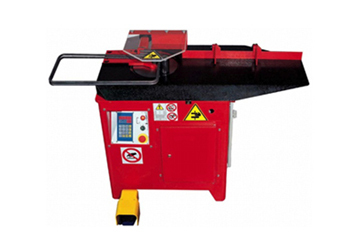 The Calandra Series guarantees the maximum productive flexibility based upon the processed rebar size. 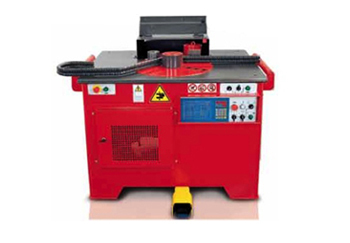 Automatic bender for electro-welded mesh panels. 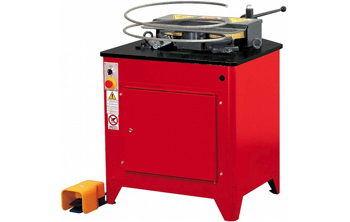 The bending cycle is carried out at two different speeds in order to increase productivity. A simple and fast shear for electro-welded mesh, equipped with a double shear system able to cut while advancing the mesh panel in both directions.